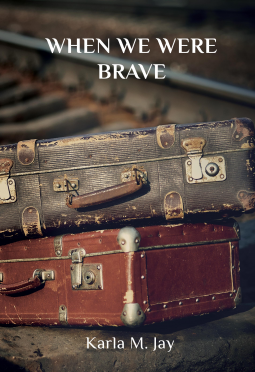 "Karla M. Jay's novel When We Were Brave employs a dramatic triangle to create a highly-emotional, epic story of World War II, one that is as vivid as it is highly personal. Here is a moving, riveting tale that shows you how things once were—and how similar those times can feel to our own. Scott Lasser - Author of Say Nice Things About Detroit, Screenwriter for HBO's True Detective Series Great historical fiction teaches and entertains. When We Were Brave finds three little-remembered stories that beg to be heard. Told with vivid detail and meticulous research, these stories involve complex characters who demonstrate the resilience of the human spirit set against a backdrop of evil and tragedy."